There’s an abundance of expert dating advice for the long Valentine’s Day weekend to help you find love online beyond February. Whitney Friedlander from the Los Angeles Times wrote an excellent article featuring expert advice on how to write an online dating profile to get the best response. I provided expert my advice and tips for the article on how to create a successful online profile. The article includes other tips from Match.com, eHarmony, Online Personals Watch, Plenty of Fish, and Spark Networks, owner of JDate. Having a career as a writer and dating advice columnist allows me to meet interesting people.? I hear about their quests to find love online. I share their success stories in the Cyber Love Story of the Week. I write about their dating disasters in the Peril of the Week. I interview interesting people in the world of online dating. I love my life. Often, I am asked about my personal life. Many wonder who am I currently dating. They ask me if I have met someone online. I have met hundreds. ?They want to know what online dating sites I recommend. I answer with, ?There?s something for everyone.? I hear, ?What was your best date?? and ?What was your worst date?? Sharing personal information with the popularity of Facebook and other social networking sites has not only become the norm, but it has become expected. Years ago it would have been considered exploitation. Now it is fondly known as status updates and tweets, filled with friends, connections, and followers. As I sit here on the one-year anniversary of my first published book, The Perils of Cyber-Dating: Confessions of a Hopeful Romantic Looking for Love Online, I reflect on why I felt the need to share my personal stories and why I became so passionate about helping others find love on the web. It was 16 years ago when I posted my first online dating profile. 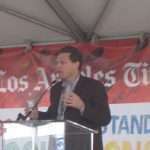 I was a charter member of Love@AOL. It was before the days of Match.com and high-speed Internet. I learned then, as I know now, the vast opportunities that can be found on the Internet. 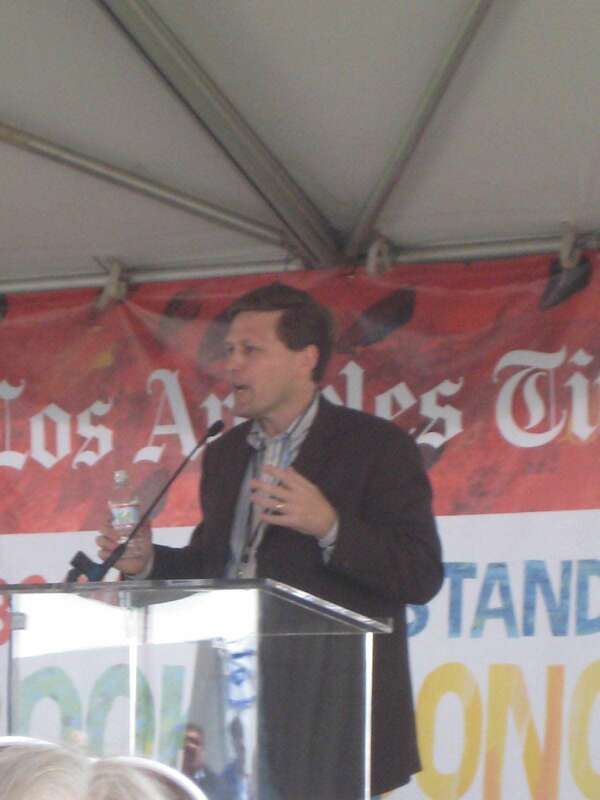 I was a former radio broadcaster, turned Internet executive. Along the way, I became a super-successful cyberdater. I reinvented my former radio career and every Saturday enjoy interviewing online dating CEOs and bestselling relationship authors on Ask the Cyber-Dating Expert Radio Show where I educate singles on all the options on finding love online. Although I made the conscious decision to reveal very personal stories– some which were extremely painful, others hilarious, and some heartfelt, I have also made the decision to keep my present personal life private, for a while at least. For now, I will continue writing about dating, love and romance in a Web 2.0 World. I am appreciative for the many online dating sites that feature my articles. I have a whole new group of friends who are authors and dating experts. I enjoy educating and entertaining my audience. I am often told that I have made a difference in the lives of singles who can relate to my stories. I help people fall in love online. My personal experience and advice has touched many. This brings me joy. 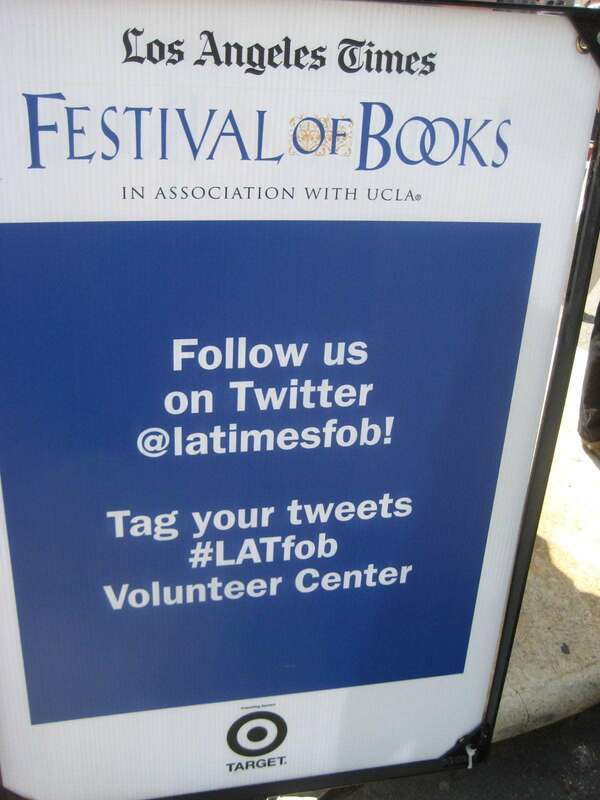 It was a perfect sunny weekend at UCLA for the LA Times Festival of Books. 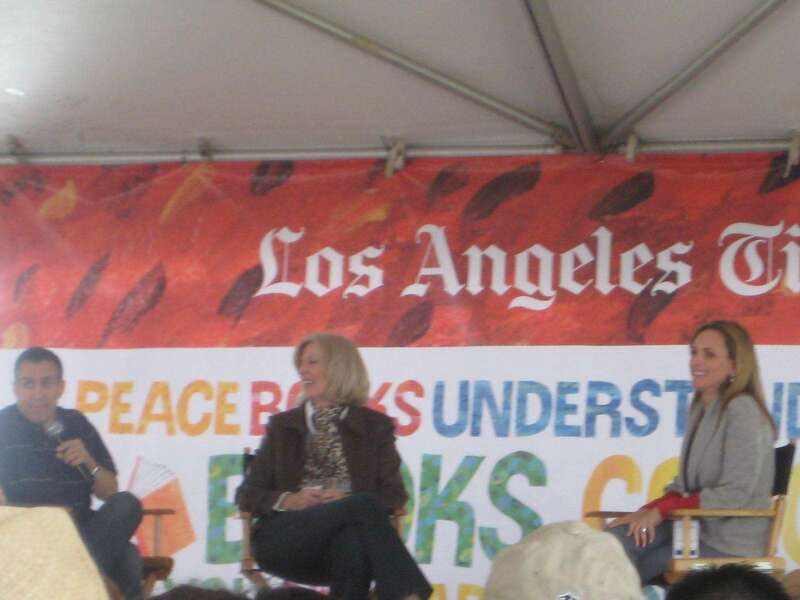 The event attracts over 100,000 attendees and over 100 authors presented their books at the two day festival on the college campus. 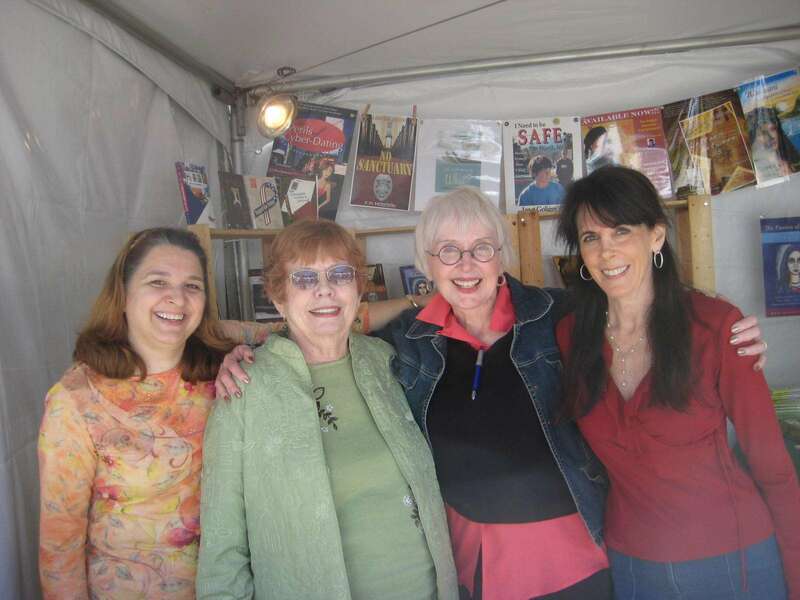 It was my first year at the event as a published author, and I was grateful for the opportunity to sign copies of my book, The Perils of Cyber-Dating at the Authors’ Coop, near the LA Times Stage. The afternoon ended with a presentation by Bob Barker, but unfortunately I was unable to “come on down” to hear him talk about his new book, Priceless Memories ?as it coincided with my book signing of my tell-all romantic memoir, The Perils of Cyber-Dating: Confessions of a Hopeful Romantic Looking for Love Online . I stopped by to say hello to The Millionaire Matchmaker, Patti Stanger, another Jersey girl, whose book?Become Your Own Matchmaker: 8 Easy Steps for Attracting Your Perfect Mate ?is still on the best-seller list. I met many other authors who shared their stories on what they have learned about the book publishing process and made a few friends along the way. 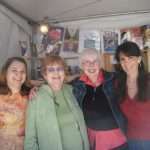 I am grateful for Christiane Alexians and Carolyn Howard-Johnson who invited me to join them at the Authors’ Coop Booth. I look forward to my next book signing event on Sunday, May 3rd at Book Soup in West Hollywood where I will be raffling off the “Cyber Love Basket” filled with over $1000 of romantic goodies guaranteed to spice up your love life.